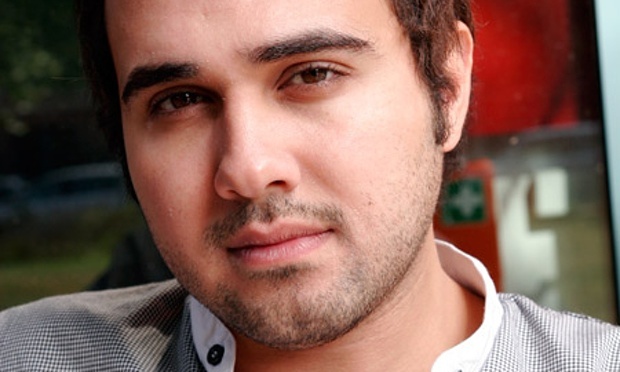 Egyptian author Ahmed Naji’s request to be released from prison pending an appeal in his obscenity case was denied last week, meaning he will continue to serve his two-year sentence for “violating public modesty” until a higher court decides to consider the appeal. That trial date has not been set, and he is said to be in ill health after already spending six months in prison. Naji’s book Use of Life is an experimental work that incorporates visual elements, including comics drawn by Ayman al-Zorkany. A 65-year-old reader claimed that an excerpt printed in 2014 in Akhbar al-Adab newspaper caused him to have heart palpitations, a drop in blood pressure, and severe illness because of its references to sexual acts and drug use. In addition to Naji’s prison sentence, the newspaper’s editor Tarek el-Taher also received a fine equivalent to about $1,300. The Appeals Court hearing last week was the first time any of Naji’s friends and supporters have seen him since he was sentenced in February, as only his immediate family is allowed to visit him in prison. Supporters from other countries can still sign the Tahrir Institute for Middle East Policy’s petition calling on the Egyptian government to repeal the unconstitutional Article 178 of the Penal Code, which allows for the prosecution of any creator of a text or artwork judged to be “against public morals.” Throughout his ordeal, Naji has insisted that he does not want just a suspended sentence or acquittal for himself, but a total repeal of the law so it cannot be used to target anyone else again.